Since its inception, Yale-NUS College has been unable to compete in most inter-varsity sports tournaments. Students and athletes have often revisited the question: what are we playing for? Three years, eleven sports teams, and 524 students later, very little has changed. Many students have questioned their exclusion from inter-varsity tournaments and have sought to change the situation, citing a need for a distinct identity as a key motivating factor. However, members of the administration foresee realistic challenges, such as the small student population, lack of facilities and relations with other universities. Currently, Yale-NUS is not a member of the Singapore University Sports Council (SUSC). Among the competitions controlled by the SUSC, all of which Yale-NUS is currently excluded from, are the Singapore University Games, Inter-Varsity Polytechnic Games, and the ASEAN University Games. If Yale-NUS wishes to become a member of the SUSC, it needs to be recommended by one of the council members and seconded by another. Similarly, President Pericles Lewis is not convinced that Yale-NUS will have the resources necessary to compete at the inter-varsity level. “Realistically we won’t be able to offer the whole panoply of sports who are competing at the varsity level,” he said. Yet two of the six major universities in the SUSC are institutions with small student populations. The Singapore Institute of Technology has 2800 students, while the Singapore University of Technology and Design (SUTD) has about 1000. Both universities are not affiliated with any other universities in the SUSC. 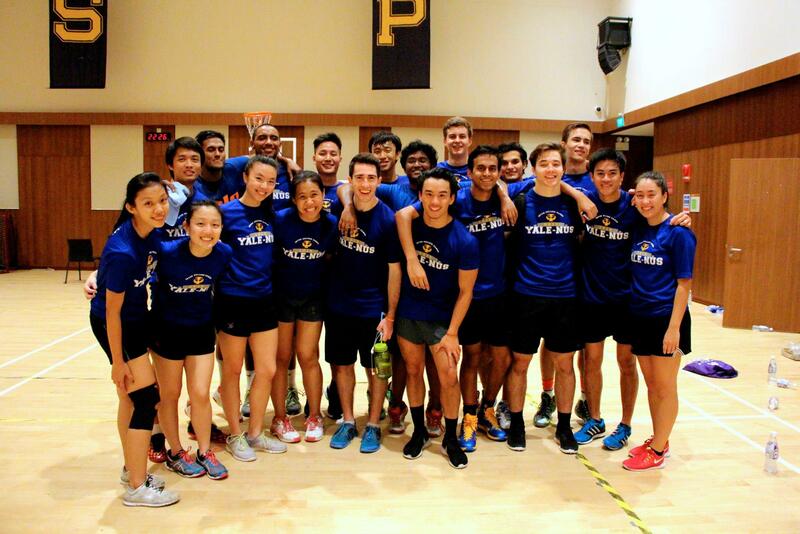 Yale-NUS is in a position to field more teams, with a new campus and the influx of students, said Raeden Richardson ’17. He added that beyond resources and numbers, competing in inter-varsity was about identity. “It’s a matter of making the claim about who we are, as something distinct,” he said. Similarly, Netball team captain Sharlene Chow ’18 said that playing in National University of Singapore (NUS) competitions like the Inter-Faculty Games (IFGs), Yale-NUS’s identity had become muddled and competing at the university level could help distinguish the college from NUS. On the other hand, Mr. Lewis said that he does not think competing at the inter-varsity level will impact Yale-NUS’s ability to participate in the IFGs. He pointed to the Yale-NUS basketball team which has competed against SUTD and NYU Shanghai, but also competed in the IFGs and Inter-College Games. Mr. Nagy also urged students to be mindful of the perspectives of other SUSC members. He pointed out that NUS may not be able to sponsor Yale-NUS as a member, as it is limited to fielding one varsity team per sport and Yale-NUS could be considered to ‘represent’ NUS by the rest of the council. Richardson said the administration is more than willing to listen to students and urged students not to consider it a “hopeless” cause. The Student Government supports students’ desire for inter-varsity representation, and has been pushing for changes, said Student Government member and co-captain of men’s basketball team Zach Mahon ’17. Both Mahon and Chow said they feel that there is a lack of information from the administration about this issue, and hope that the administration keeps students informed. Moving forward, Mr. Lewis suggested that Yale-NUS build athletics connections with other small-scale institutions in the region over time. Teams that compete independently will receive support from the administration based on student interest. In that vein, Chow has organized for the netball team to compete in a tournament against other universities, including NUS, in September, but notes that such opportunities are not available for other sports. The IFGs commence on Saturday, Aug. 29.